Buying a home can seem to take forever, particularly waiting for the sale to close after your offer's been accepted. To help speed things up, here are seven tips to eliminate potential delays and enable the process to go as quickly as possible. Helping things go smoothly starts at the beginning of the home shopping process. An experienced and competent agent will not only help you find the home most suited to your budget and needs, but will also be a key ally during escrow as well. A good agent will not only be able to guide you through the closing process, but will also be able to alert you to potential bumps in the road and advise you as to documents you'll need and other requirements in advance, so you'll be ready to meet those needs as they come up. A less effective agent might only alert you to these needs as they arise, meaning wasted time as you scurry to address them. Before you get seriously into home shopping, choose a lender and get preapproved. This is a step beyond prequalified and just short of actual approval, in which the lender looks at your credit and finances, and provides you with an estimate of how much you can borrow. Basically, it's everything you need to get approved for a mortgage short of determining whether the home you choose will support the loan. Preapproval does two things for you. First, it shows a potential buyer that you're serious about making a purchase. Second, it allows the lender to get your information and do much of the work in assembling the loan package ahead of time, so all that's needed is the appraisal and other evaluations of the property for the loan to get approved. 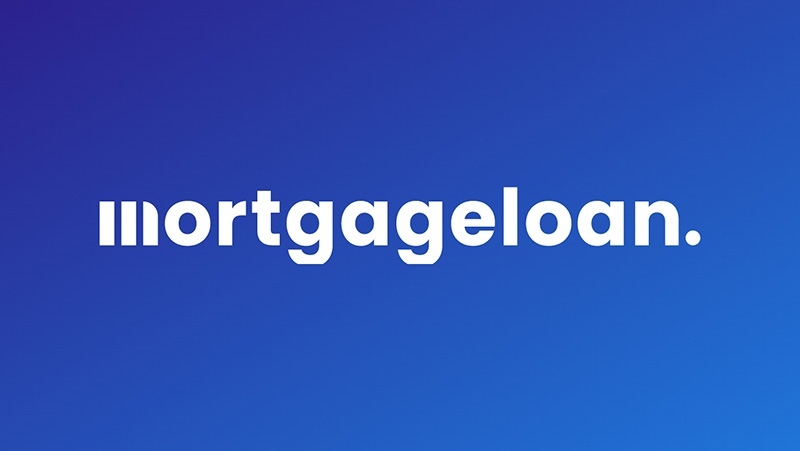 Your lender and real estate agent will be able to tell you what documentation you will need to get approved for the mortgage and for the sale of the home to be completed. This will include documentation of your income, which may include both your w-2 forms and tax returns from the past two years. Your tax returns will definitely be required if you're self-employed or own your own business, and a profit-and-loss statement may be needed as well. Your lender will also want to see current bank statements and may also want to see documentation of investments or other financial assets as well. If you're divorced, you may be asked to provide a copy of the settlement papers, and if you're paying or receiving any child support you'll be asked to document that as well, regardless of your marital status. If you sold some investments to get money for the down payment and put the funds in your checking account, the lender will want to see the paper trail to ensure they aren't borrowed money as well. They key thing here is to be upfront about your finances. If there's a certain aspect of your income or finances that you're uncertain about, or that you think could possibly affect your loan application, ask if it will be needed. If you omit anything significant, they'll likely find out about it anyway and your application will be delayed while they go back to you for the correct information. Regardless of how hard to try to get your ducks all in a row beforehand, it's pretty likely that a few things will fall through the cracks. When that happens, try to get the information - information about your business earnings, documenting the source of your down payment money, supporting documentation used to resolve a credit or billing dispute a few years ago, etc. - to your lender as quickly as possible. This is an example of why it's a good idea to keep your financial and tax records organized. Don't wait for your lender or real estate agent to tell you to do something you know you'll need to do. Start lining up homeowner's insurance as soon as you put in an offer - you won't have to pay a thing until closing and that will give you a chance to evaluate different insurers to see which has the best deal for you. Check around for qualified home inspectors so you've got one you can call as soon as your bid is accepted - it's a good idea to find your own, rather than one suggested by your real estate agent, given the potential conflict of interest. Also, be sure to have the cash for your down payment lined up and available. If you need to sell some investments to raise the money, be sure to do that well before the closing so there's time for the transaction to take place, as well as for your lender to verify their source. Some homebuyers will find what they think is the perfect home, the right price and in a good neighborhood, but are stunned to learn their lender won't approve the mortgage because of issues with the property. This may be due to problems with the property itself, such as an outstanding lien or other issues found during a title search, but they can also be fundamental problems with the home itself. For example, unique properties that are distinctly different from their surrounding neighborhood can be a problem because they're difficult to appraise. Think of the original farmhouse tucked away in the corner of land that's now a subdivision - there's nothing to base a comparable sale on. Or perhaps a home that has lots of nice improvements but as a result is overbuilt for its neighborhood, which could make it hard to sell later on. Or a custom-built home in an unusual style that fits your sense of whimsy but may not be for everyone. Lenders are reluctant to approve mortgages for homes that may need significant repairs or that could be hard to sell in the event of a foreclosure. They're much more comfortable backing loans on well-maintained homes that fit in with the rest of the neighborhood. That's not to say you can't get a mortgage on a unique property, but you may need to go to a small, local lender and allow longer for the approval in order to do so. One of the common things in negotiating a home sale is to request seller concessions, in terms of things the seller agrees to do in order to close the sale. These often involve requiring the seller to make certain repairs or improvements as part of the deal before the sale is closed. Obviously, this presents the potential for delays if those things are not done in a timely manner. If you're looking to close quickly, you may be better off seeking financial concessions instead of asking the sellers to have the work done themselves. So rather than having the seller refinish the wood floors or replace the front door, calculate what those things would cost and see if you can get the sales price reduced by that amount. This may end up costing you more overall, as the seller may prefer doing the work over reducing the price that much, but if you want to close quickly, that's a trade-off you may wish to make. Buying a home isn't something you want to rush through, but there's no reason to put up with delays either. Following these steps will help ensure that things go smoothly as you close in on your goal of owning a home.